This special edition of Kaspersky® Internet Security – the all-in-one security solution that offers a worry-free computing environment for you and your family – is designed and customized to work on small and ultra-portable PCs, also known as Netbooks. Attention! Only works on ultra-portables that meet the requirements specified below! has everything you need for a safe and secure Internet experience. Is specially customized to work on ultra-portable notebooks only (netbooks). has everything you need for a safe and secure Internet experience. Does not require installation of any additional software to protect your PC. ... then Kaspersky® Internet Security 2009 Special Edition for Ultra-Portables is the ideal product for you! 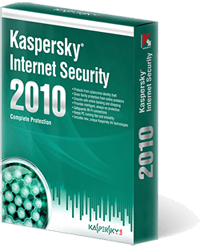 ... then Kaspersky® Internet Security 2009 (Standard Edition) is the best product for you!